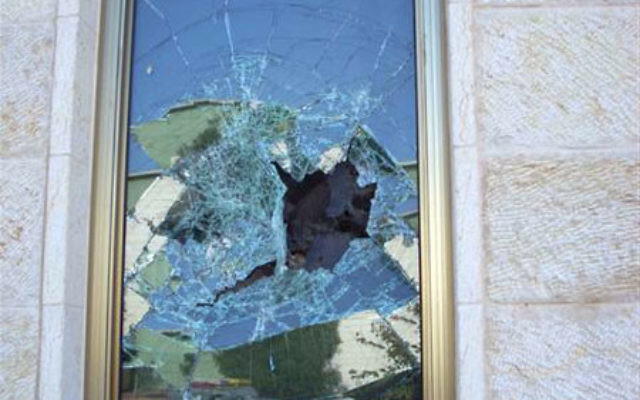 Vandals broke windows and spraypainted graffiti April 14 at the Progressive synagogue Kehilat Ra’anan in the town of Ra’anana. JERUSALEM — Ra’anana Chief Rabbi Yitzhak Peretz added his name to a letter condemning an attack on a Reform synagogue in the central Israel city, bringing to 14 the number of Orthodox rabbis and public figures who signed the document. The World Union for Progressive Judaism also condemned the April 14 attack in Ra’anana, which is a sister community with United Jewish Communities of MetroWest NJ. It is the third time Kehilat Ra’anan has been vandalized in the past year. City officials and the Reform umbrella group both indicated that the vandalism pointed to Jewish religious extremists, though police said they had no suspects. The letter from Orthodox rabbis and leaders was initiated by Rabbi Seth Farber, the founding rabbi of the Orthodox Kehilat Netivot in Ra’anana and founder and director of ITIM: The Jewish Life Information Center. 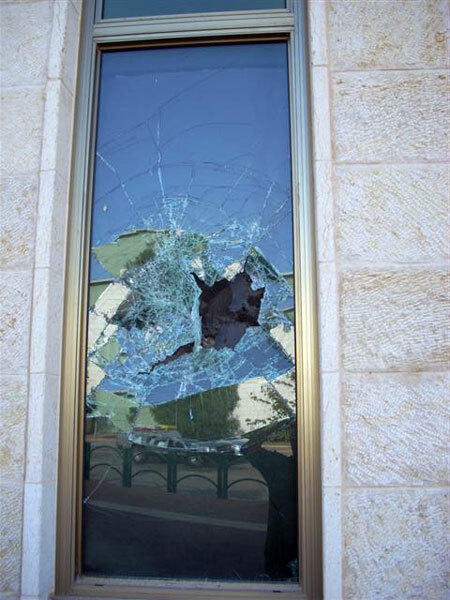 In another incident of violence against a non-Orthodox synagogue, youths threw rocks at worshipers leaving a Masorti synagogue in Netanya on the Sabbath eve of April 15. The youths appeared to be Orthodox, eyewitnesses said, according to The Jerusalem Post. The youths reportedly tried to enter the building but stopped when they saw security cameras. The building has been attacked twice in the past. No worshipers were injured in the attack. A complaint was filed with police.